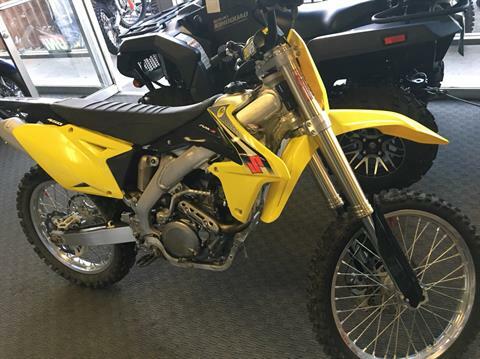 The Suzuki RM-Z450 gives you the power to dominate the competition. For 2013, the RM-Z450 is redesigned to give you an even greater edge. With a thoroughly refined engine, it develops exceptional power from idle to redline and incredibly crisp throttle response. It also features the innovative new separate function front fork (SFF) from Showa. The new front suspension works with an updated twin-spar aluminum frame engineered for an optimum balance between rigidity and high-speed traction, providing you with incredibly precise handling and smooth performance on the toughest tracks. 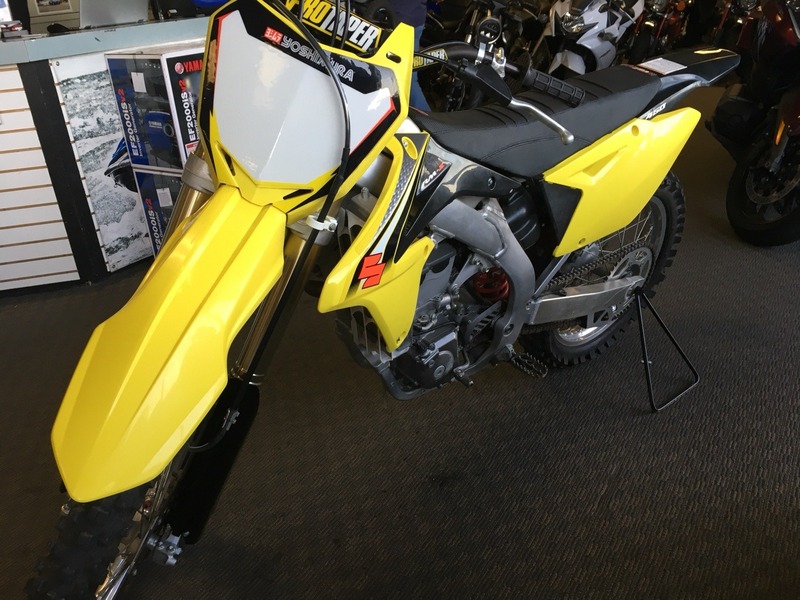 The new RM-Z450 - it puts championship-winner performance in your control to reach the top of the podium! Front fork inner tube diameter is increased from 47 mm to 48 mm, results in optimized stability and absorption. The spring pre-load is now adjustable, which allows a wider range of adjustment for all level of riders. Compact and lightweight four-stroke, 449 cc, fuel-injected, DOHC engine provides extraordinary torque for awesome acceleration from idle to redline, with incredible high-rpm power. In 2011, Suzuki introduced the coupler system to the RM-Z450. 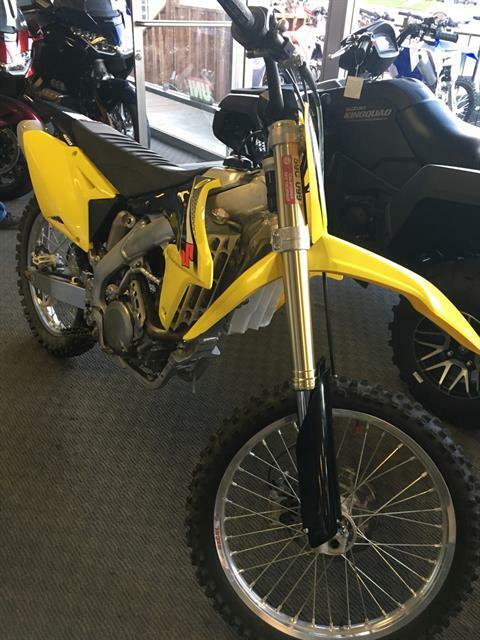 The 2013 RM-Z450 uses this innovative design, which consists of three couplers that allow you to quickly adjust the fuel setting to suit riding conditions. One coupler contains the stock settings, a second is for a richer fuel setting than the stock setting and the third is for a leaner setting. Redesigned five-speed transmission with reshaped shift cam, stopper spring and drive shaft results in more solid shift feel, enabling more precise gear shift operation. Riders can now track engine-operating time and better manage maintenance intervals using the optional FI indicator.